Below are images and suggested posts you can use on your social media platforms, sized for each platform. 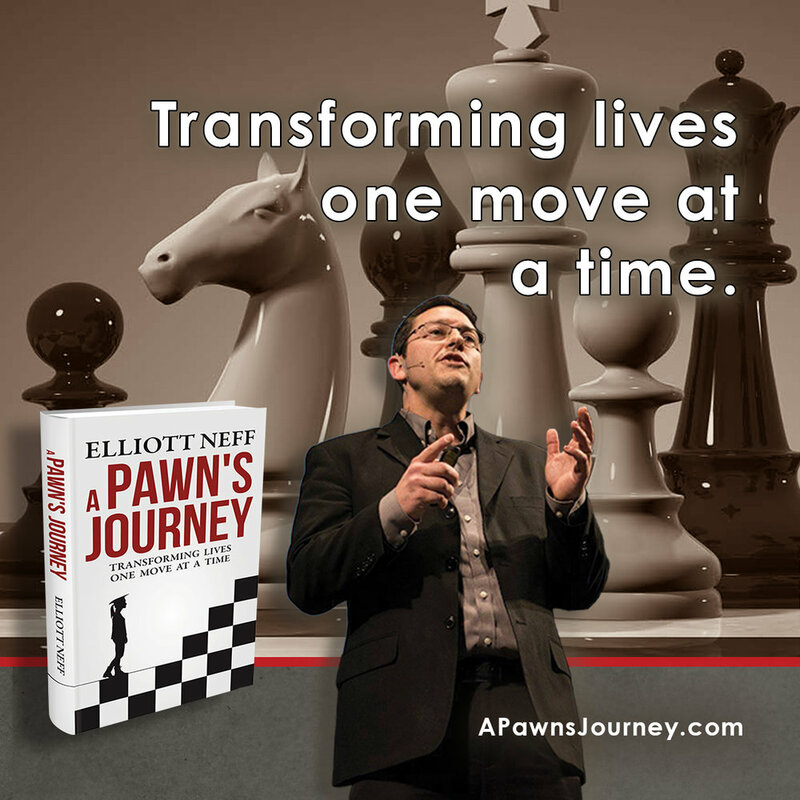 My friend, National Master Elliott Neff has just released his new book, A Pawn’s Journey. 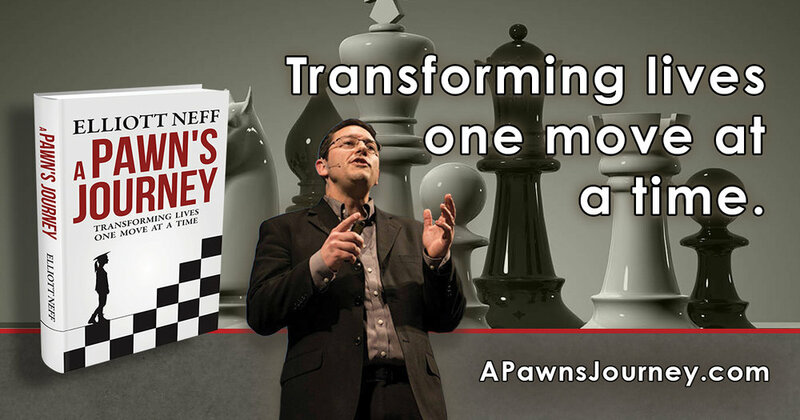 To celebrate, he’s giving book buyers 3 months online chess lessons – free! #APawnsJourney teaches children life skills in a fun parable. Get your copy now. 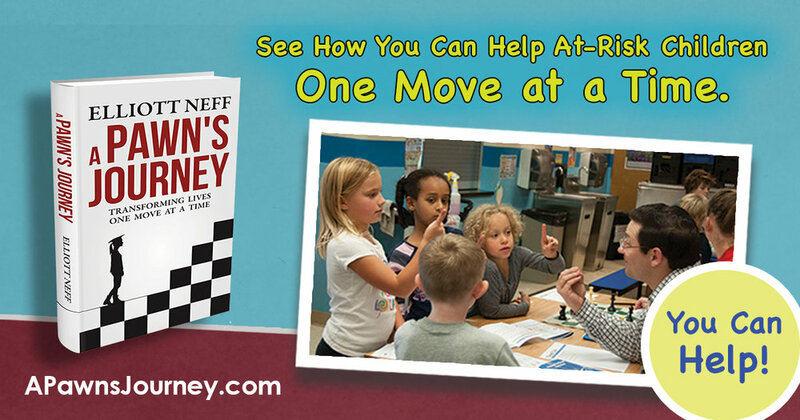 My friend and National Master Elliott Neff has worked full-time to help thousands of children develop life skills through the fun game of chess. 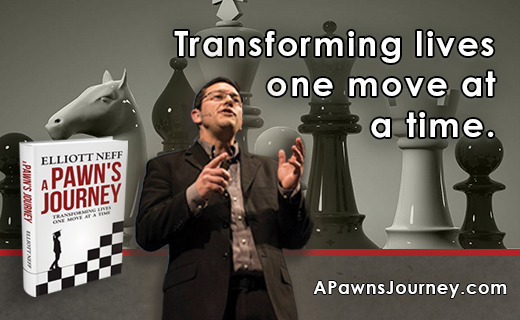 Elliott has just released his first book, A Pawn’s Journey: Transforming Lives One Move at a Time inspired by true-life stories of students’ lives being transformed by learning the game. I highly recommend the book. Go buy your copy now. 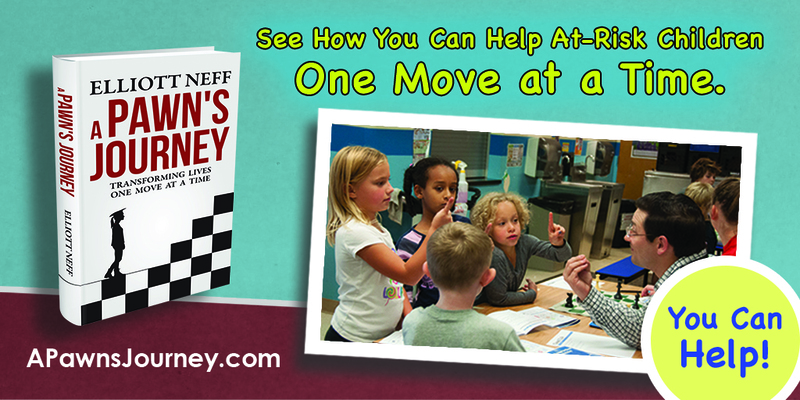 Elliott is offering 3 months online chess lessons free when you buy the book during the launch. -- Entrepreneurs’ Organization Founder Verne Harnish. 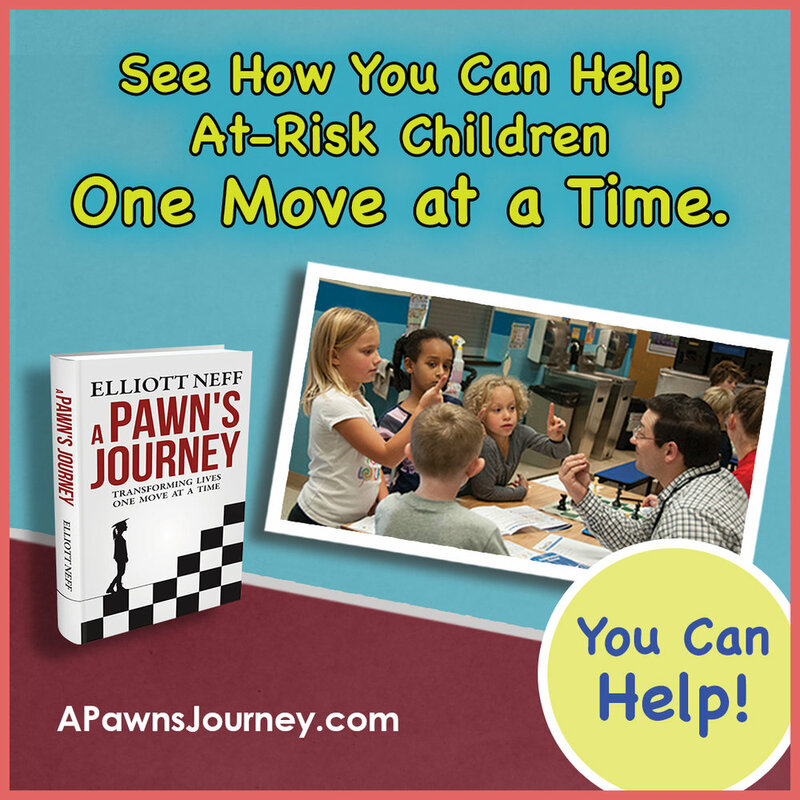 #APawnsJourney by Elliott Neff teaches success skills in a fun parable.